Performed on an outpatient basis our clinic, the hymen repair procedure can take, it should take up to half an hour. Anesthesia is administered.You should come here same day without eating and drinking anything 5 hours before the procedure. The procedure is outpatient and takes 30 minutes in my clinic. You should rest here just 40-60 minutes. You should stay here at least one night.You can find any hotel in Taksim square or Şişli. You can fınd recommadation adress and map below the page. You can go back your country one day after the procedure. 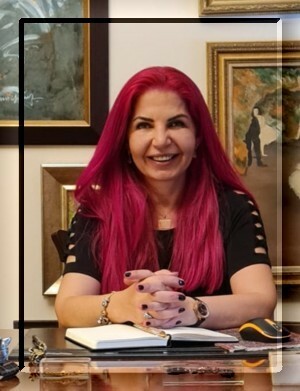 We can do the hymenoplasty surgery for people with non Turkish nationalities . I can make this procedure everyday except Sunday at Monday through Friday between 4.30-6.30 pm. 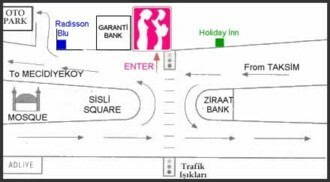 Situated in Sisli, Sisli square, the very heart of the booming business and financial district of Istanbul. Located only 19 km from the city's main international airport-the Istanbul Atatürk Airport - and being also only a walking distance away to all forms of public transport, including the subway line. Being also in close proximity to the city's most prestigious shopping malls as well as Istanbul's most popular shopping, entertainment and lively nightlife of Taksim Square and Nisantasi. The procedure takes just 20 minutes .There are absolutely no complications, and results are excellent, with restoration of the original virgin state. Cost of Hymenoplasty at our clinic is ….